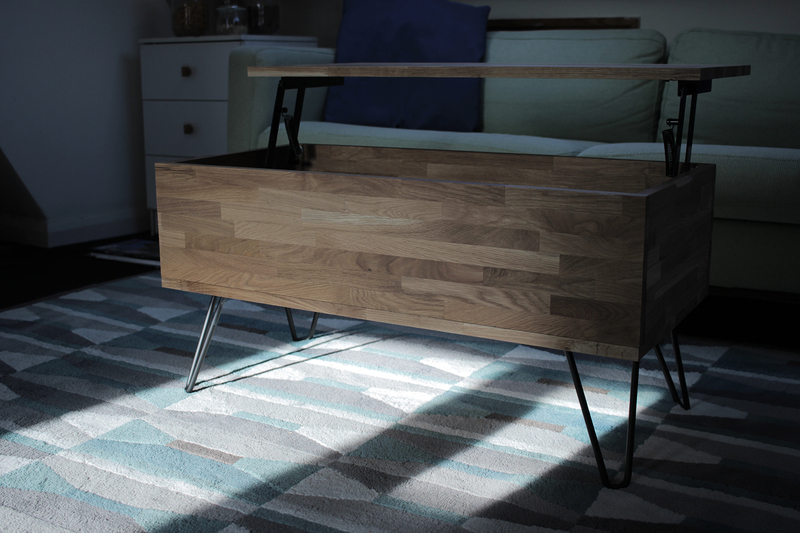 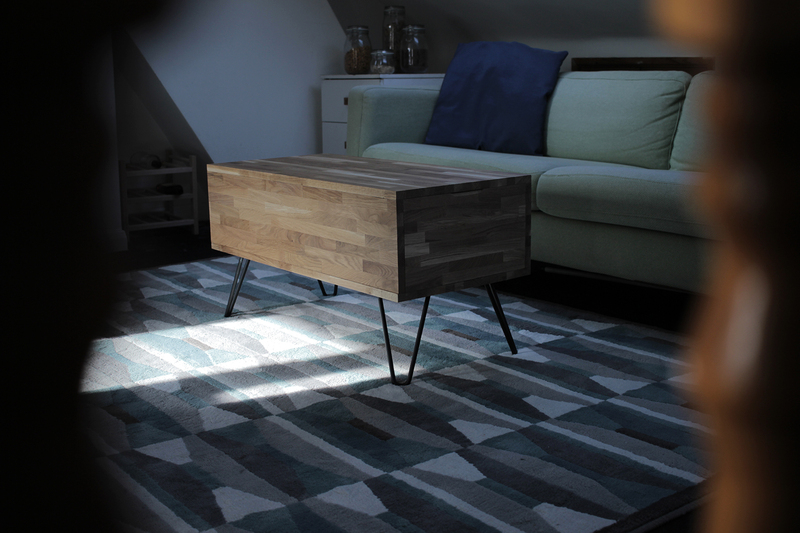 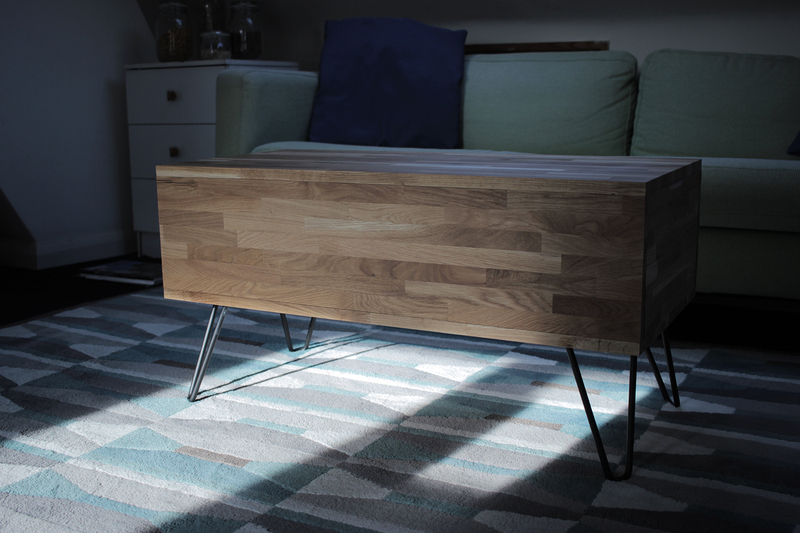 Industrial look coffee table made with solid oak and steel. 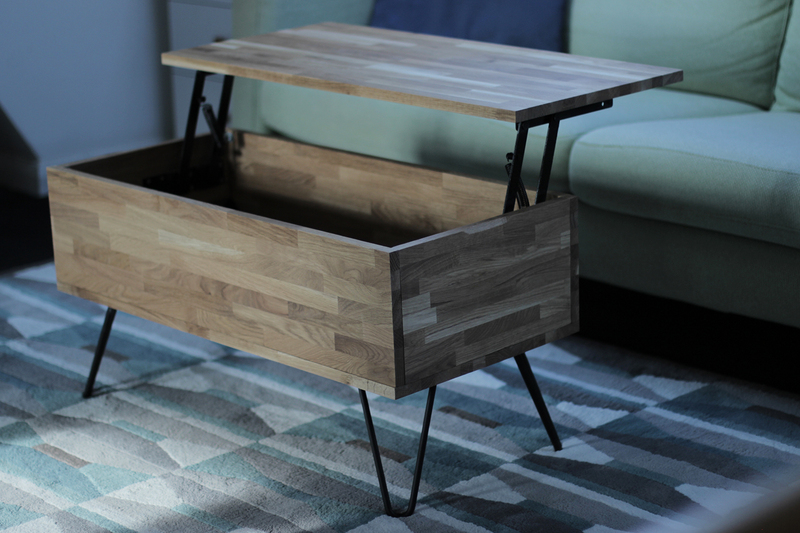 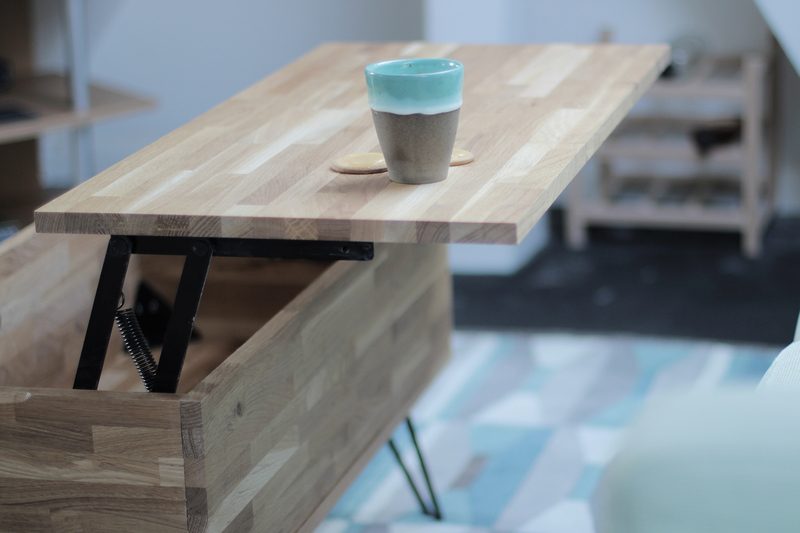 The internal mechanism lifts the top of the table revealing the storage inside. 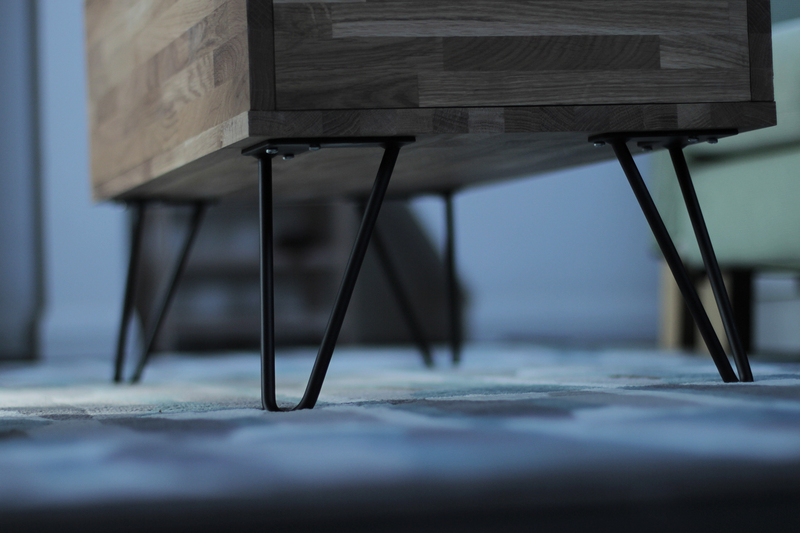 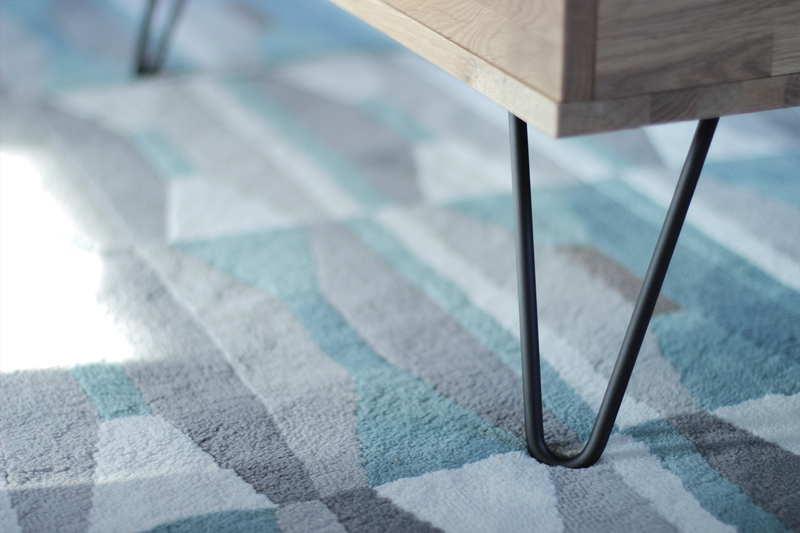 Reliable hairpin legs come in black or silver. 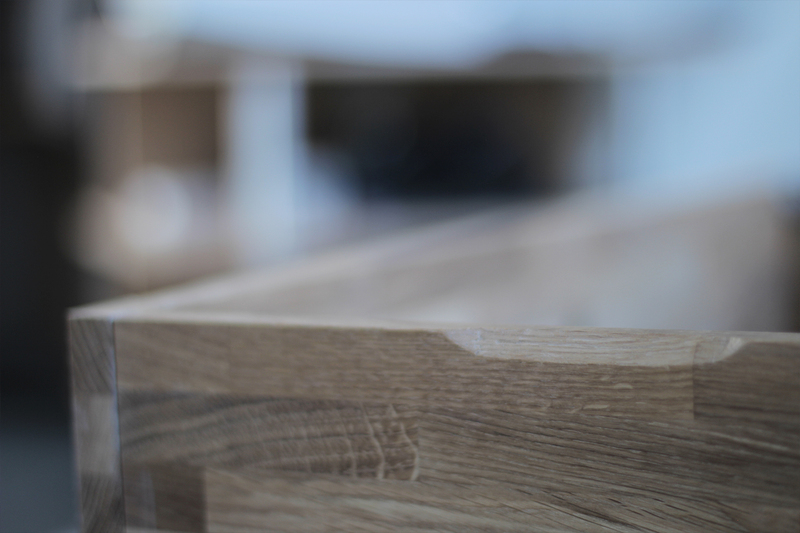 Transparent protective finishing available on request.